Moku-Moku has one main aim, that is- to inspire green living. It started in a small town named Lukut located in Port Dickson, supplying oyster mushrooms to local markets. 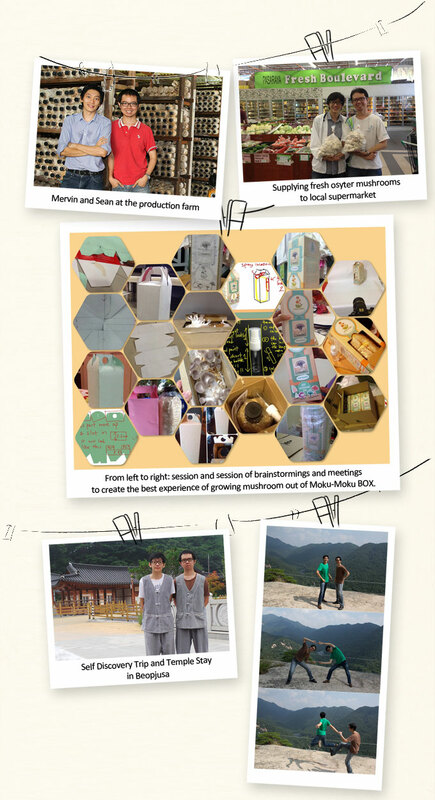 Relatives and friends were pretty curious about mushroom farming and this has led us to create our very own Moku-moku Box, in which people can grow their own mushroom at home or workspace. It's a fun and unique experience to easily go on the path of consuming selfgrown food. We hope that you will have an enjoyable experience growing your mushrooms right out of this box. Serve your mushrooms in a home cook meal or steamboat and you can proudly tell your friends, "I grow my own mushrooms"